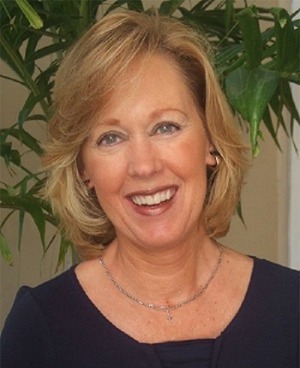 I was born and raised in Holland, Michigan on May 9, 1951, and given the name Crystal Jean Langejans. My friends called me Christy when I was little, and Chris when I was still little but older. I’m 5’2″ and Dutch people are usually tall, but I am not. I grew up in a nice town with great people and I own a pair of wooden shoes. After graduating from Holland Christian High School, I went off to the big city of Grand Rapids to pursue higher education at Calvin College with my BFFs. After graduating from Calvin College with a degree in elementary education, I got married and moved to Ann Arbor, MI where my husband was going to school at U of M. The only teaching job I could get was at Little Angel’s Nursery School. This is not what I had in mind when I was studying calculus and chemistry, but I guess it was what God had in mind. I soon realized that teaching munchkins was my thing. So I took some graduate courses in early childhood development at Uof M, since it was practically in my back yard. When my husband graduated we moved to Grand Rapids. I got a job as teacher-director at Lollipop Preschool (who thinks up these names?) and taught for two more years. Then we had our first baby boy. Then we had another son a few years later, and a few years after that the boys got a sister. So while I was raising our three little angels, I started writing some poems. I actually wrote my first poem when I was 10 years old, and my teacher Mrs. Beckman told me I was going to be a poet someday, so I guess that writing was always a part of me. Then I got this offer to write lyrics for children’s piano music and I’ve written a zillion songs for piano lesson books. So if you play the piano, you might see my name on some of the pages–especially the Piano Adventure books by Randy and Nancy Faber. When our kids were in school, I taught poetry lessons in the schools and the kids wanted copies of my poems, so I figured I might as well make a book of funny poems. I did it myself and had 5000 copies of Cracks in the Sidewalk printed. That was expensive! But I sold them pretty fast and had 5000 more books printed, and I sold those too. So then I was talking with an editor at Zondervan, and he said they needed someone to develop a beginning reader series and asked if I had any experience with preschoolers. Hmm. Maybe that’s why God had me teach preschool way back then. I wrote a couple chapters and made up this kid named Jonathan James and five years later they published it, only the kid was a lop-eared rabbit. I wrote 8 books in the series. Then I wrote a kids’ poetry book for Zondervan called If Peas Could Taste Like Candy. It was a fun book and lasted for over 10 years, but it is now out of print so you can only get it on ebay for like $50, and I wouldn’t even pay that much for my own books so I don’t expect people to buy it anymore. I wrote a kids’ book for the Holland, Michigan Tulip Time Festival. It’s called Windmills and Wooden Shoes because there is a real windmill in Holland and people wear wooden shoes with their Dutch costumes when they go to the parades. This guy named Joel Tanis painted awesome pictures for the book and if you live in Michigan you know who he is because he is famous. 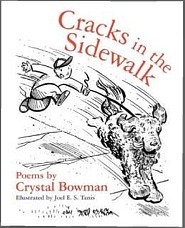 Joel also did the illustrations for a new edition of Cracks in the Sidewalk. Then I started writing other books for Baker, Eerdmans, Cook, Tyndale, Focus on the Family, Standard, Thomas Nelson, and Discovery House. It’s really fun to be writing so many books. I’ve actually written over 100 books and sometimes I lose track of how many I’ve written. I wrote a holiday board book series for Zonderkidz (that’s what they call the kids’ division) and 5 of them made the best sellers list! I’ve also written several books for Tyndale’s Little Blessings Series. The One Year Book of Devotions for Preschoolers has sold over 200,000 copies, and it is so cool to think about all those little kids learning about Jesus. If you know about the Frog and Toad books or Little Bear, then you are familiar with the I Can Read books by Harper Collins. 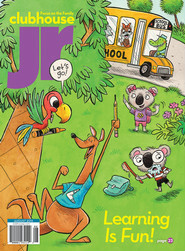 Harper is the parent company for Zondervan and they are letting Zonderkidz use the I Can Read! logo, which is really cool. I rewrote some of my Jonathan James books, and they are now I Can Read books, only the rabbit’s name is Jake because Harper said Jonathan James was too long. Also, I have a nephew from Ethiopia whose name is Jake, and so it’s really cool to have books with his name on the cover! 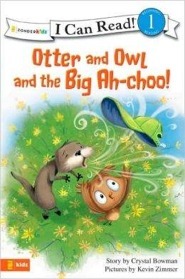 I have some other I Can Read books in a series called Otter and Owl. Boys will really like them, but girls will too. I have written lots more I Can Read books, and most of them are Bible stories. I think it’s cool that as kids learn to read, they can also be learning about God. Another book I wrote is called The House in the Middle of Town. I had a feeling that God had something special in mind for that book. Standard published it in 2007 and promoted it with their Vacation Bible School materials. Well, I thought that was the special thing that God had in mind, but then something else really cool happened in July of 2008. The Extreme Makeover Home Edition people were in Cincinnati which is where Standard is located. So Heather Gims from Standard brought a book to the site and they said Standard could donate them. Standard gave away over 1000 books to volunteers who worked on the house! Even Ty has a copy of my book, but I have one of his designer bedspreads so I guess we’re even. I also have a Bible storybook published by Tyndale. It’s called The Read and Rhyme Bible Storybook. It’s for kids who are learning to read, and it is written in rhyme which is why it’s called The Read and Rhyme Bible Storybook. 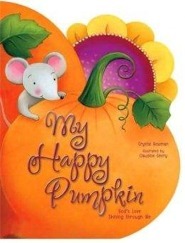 It has some vocab words and rhyme words to learn, as well as some fun activities. Have you ever heard of Veggie Tales? Well, Cindy Kenney was one of the main writers for Veggie, and she and I wrote this book together because she is so fun and writing it together made it really good. I wrote another picture book for Standard called The Boy On The Yellow Bus. It’s about a boy who shares his seat with a kid who is new in town, and then all these cool things happen because of that one boy who shared his seat. I hope it helps kids be nice to each other. Another exciting thing is that I became a grandma! In June of 2011, my granddaughter was born and she is the cutest thing I have even seen in my whole life. 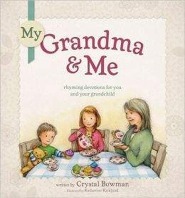 So I wrote a book called My Grandma and Me, and it has some fun rhyming verses and Bible verses and prayers and songs. It is for grandmas to read to their grandkids. I wrote this book for Tyndale and it won the 2013 SELAH award. Since then, I have been blessed with four more grandkids–all boys! So I am getting lots of fun ideas from them. Have you ever heard of Clubhouse Jr. Magazine? Well, I write some of their stories and poems, and I love having what I write show up in the magazine. I also write their comic page call Friends Out Back. It’s about a Koala Bear family and their friends. I wrote another book called My Mama and Me. It’s a lot like My Grandma and Me, only it’s for moms to read to their kids. And the coolest thing is that I wrote it with my daughter, Teri McKinley. The book received the Logos Bookstore Award which is cool because the people who work at bookstores give the award. I’ve been on tons of radio programs and a few TV programs. I don’t get nervous for those because you can’t see all the people who are listening to you talk about yourself. I especially like radio shows because you can wear whatever you want since no one can see you. I wrote another book called Devotions for Beginning Readers. It was published by Thomas Nelson and is for kids who are beginning to read. The pictures are really cute! Teri and I wrote another book together called Our Daily Bread for Kids. It was published by Discovery House in 2014, and it’s for kids 6-10 and has a devotion to read for every day of the whole year. It helps kids know more about God and the Bible and has some fun facts on every page. Two years later we published Our Daily Bread for Preschoolers. It’s a book of 90 really cool devotions for preschool and kindergaten children. Our Daily Bread for Little Hearts is a new line of board books that Teri and I wrote for Discovery house. We already have six titles: A is for Ark, Adam and Eve’s 1-2-3s, First I Say a Prayer, This is Christmas, This is Easter, and God’s Bright and Beautiful Colors. M is for Manger is another book which I also wrote with Teri. It’s a rhyming alphabet book that tells the Christmas story in chronological order and it includes Bible verses on every page. Two new picture books with Tyndale were released in June 2017. You know how kids are always asking questions? Well that’s what these books are about. The series is called I’ve Got Questions and the first two books are Does God Take Naps? and Do Baby Bears Have Mommies? They are fun and a little silly, but you will learn lots of stuff if you read them. I have also written books for The Princess Parables series, Boz the Bear, and The Berenstain Bears. That’s everything I can think of for now. Thanks for being interested in my work. I love writing, and since I write books that help kids learn more about God, it all has a greater purpose! P.S. I am now living in Florida since I don’t like cold weather, but I go to Michigan for short visits because I miss my family and friends up there.